Warmwater fly tiers have an abundance of instructive resources available to them. New books, videos, CD'S, magazines, fly tying catalogs, and web sites, specifically for the warmwater enthusiast, appear with increasing regularity. Over the years I have acquired a considerable number of books, videos, and other materials and many, but not all, have been helpful in improving my fly tying skills. 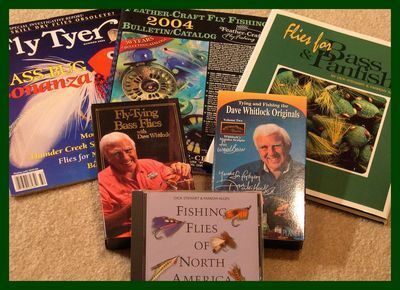 So, on these pages you will find the books, videos, CD'S, magazines, fly tying catalogs, and web sites that interest me. Here is my list of favorite fly tying books. Some are bttter than others but all have something to offer. I can't think of one book listed here that has not been informative. In some instances I have provided the address of the author so that you can order the book directly from him. In other cases I have providied a publisher's address from which to order the books. You can also locate a book through one of the search engines like Google.Com or one of the book store web sites like Amazon.Com. Click here for book titles and reviews. 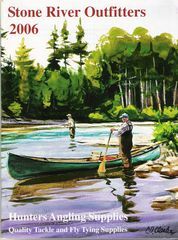 There are a number of great books on the market that provide some very useful information and instruction on the subject of fly fishing for warmwater species. Most relate to bass fishing but there are a few that provide some great information on fishing for panfish, northerns, and carp. Many of the books also provide some great information about the authors favorite fly patterns and in some cases the author provides instruction for tying them. When that happens it will be indicated in the review. Videos and CD'S that demonstrate fly tying procedures are another way to learn to tie different warmwater flies. I have selected several videos that have been very helpful to me in my quest to tie more and better warmwater flies. Dave Whitlock's tying videos are exceptional. Spinning Deer Hair by Chris Helm is, in my opinion, the best video ever made on the subject of spinning deer hair. Fly fishing for carp is becomming increasingly popular among warmwater anglers but many often wonder what flies to use. Tying Flies for Carp by Brad Befus will answer that question for you. Unfortunately their aren't many good warmwater fly fishing videos and CD'S on the market, but I think that I have the best of them in my video library. In total, I only have four videos and one CD, but they are all worth having in your video library. Click here for Warmwater Fly Fishing Video reviews. I always try to buy my fly tying materials at local flyshops and you should too. You really should inspect the materials before you purhcase them but even I, with five local fly tying material retail outlets, have to order some of my materials from fly tying catalogs. The fly tying materials outlets that I am recommending on these pages all offer a variety of materials that are required by the warmwater fly tyer. In fact, I have ordered materials from every one of them over the years and they all provide excellent service. When a catalog offers hard to find materials (hen necks for example) I will indiicate that they offer those items. 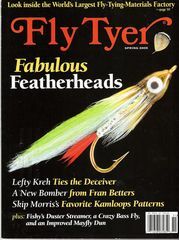 Every serious warmwater fly fisherman/tyer should subscribe to magazines that can make him both a better angler and a better fly tyer. Here are ny choices. 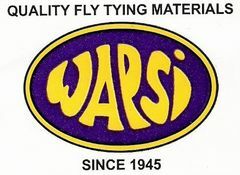 Here is a list of web addresses of manufacturers who offer fly tying products and supplies used by the warmwater fly tyer. Most manufacturers sell only to retailers and wholesalers but some sell direct and when that it the case it will be indicated. Their web sites are of interest because they show and explain in detail the products that they manufacturer. 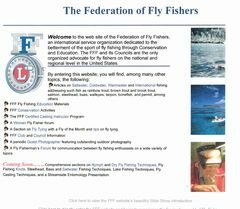 Beginning with the Federation of Fly Fishers there are a number of clubs and organizations that have very useful websites. Some, like the Hawkeye Fly Fishing Association, feature fly patterns and recipes for warmwater species. Others sponsor fly fishing workshops and conclaves that are worth attending. 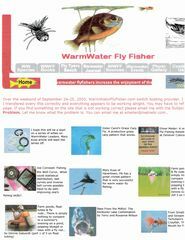 There are several web sites that contain warmwater fly patterns. Some feature many flies with step-by-step instructions. Others show a photo of the fly accompanied by a recipe. A few only show the fly, but if you are an average fly tyer you ought to be able to figure them out.